is the top most priority of the government and comprehensive measures have been take in the federal budget 2016-17 to boost this sector to uplift overall growth. 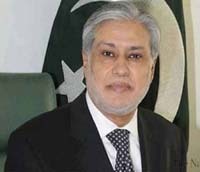 Saturday, Finance Minister Muhammad Ishaq Dar said that this sector provides direct employment to 45 percent of the labor force and contributes 21 percent in the GDP. 0.19 percent and decline of 28 percent in cotton production during the outgoing Fiscal year has affected the GDP growth. was the top most priority of the government, so in the budget 206-17, the prices of Urea fertilizers have been reduced by Rs.400 per bag from Rs.1800 to Rs.1400 while the prices of DAP has also been cut from 2800 to 2500, providing Rs 300 per bag relief to farmers. representatives, chambers of commerce and other stakeholders. keeping in consideration to provide relief to farmers.